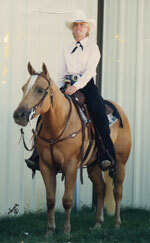 Lynn Hindman, 1984 graduate of Lamar College. 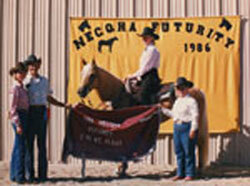 Certified in Horse Training and Management. 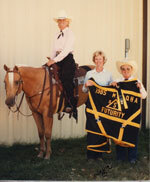 PHBA and MHBHA board of directors. 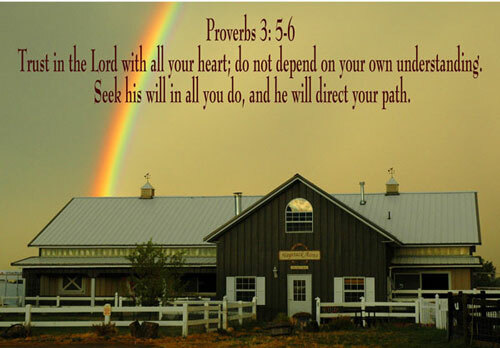 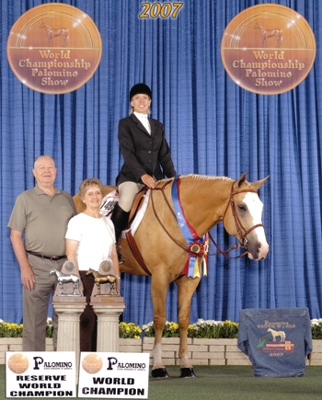 As I close the pages of this chapter in my life, as a horse training professional, I am grateful for all the lessons my equine students have taught me. 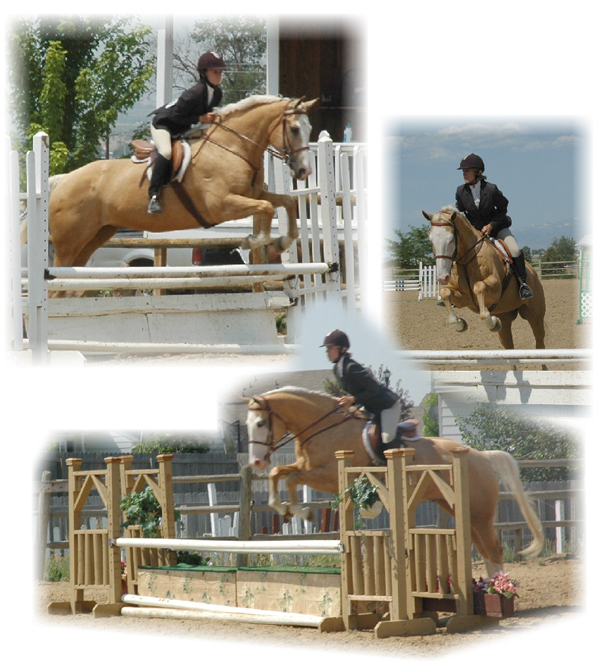 My dogs and my breeding program have become a full time occupation, giving my love of horses the opportunity to finally become my hobby! 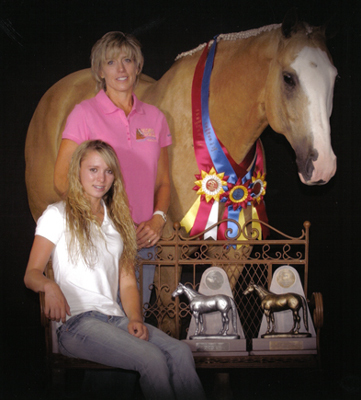 Beyond college, I have accomplished over 25 years of breaking, training and showing young horses and instructing riders, starting over 475 horses, and have judged many shows. 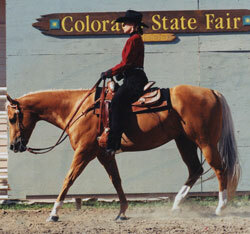 I train and show in both English and Western Discipline. 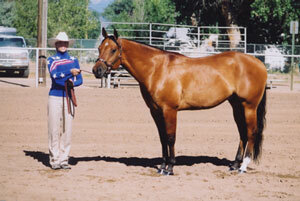 My experience has gained me an expertise in equine communication, enabling me to understand, anticipate and "feel" behavior indicating willingness and understanding. 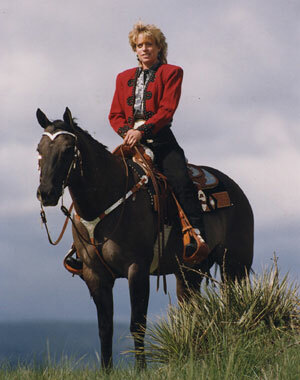 I know how to act accordingly with this understanding to create a horse/human partnership built on trust and confidence. 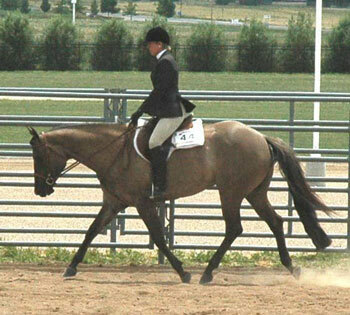 I do not force a horse in their training, but rather gain respect and educate through the proper use of timing and feel, pressure and release. 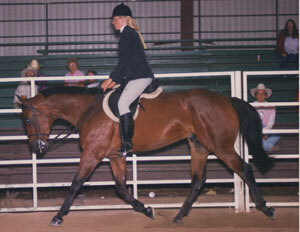 My equine students learn to be relaxed, soft, supple and responsive to proper hand, leg and seat cues. 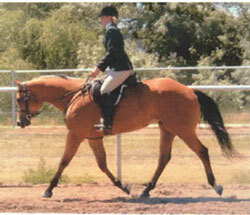 They learn through a foundation of building blocks broken down into specific exercises. 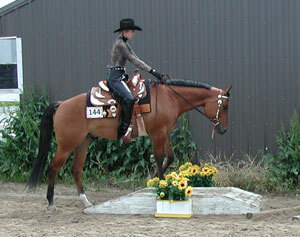 This creates a solid base to both build from and fall back on when needed. 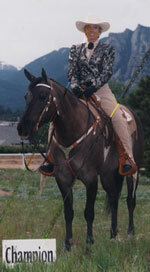 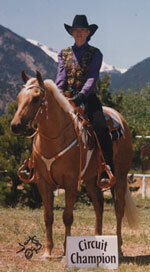 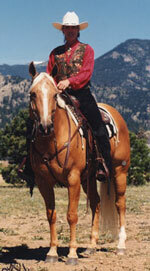 With this technique, I create a willing and lasting attitude and a horse that is safe and pleasurable to ride. 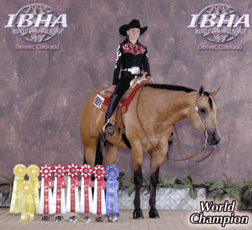 Scroll down to see the numerous State, National and World Championships earned. 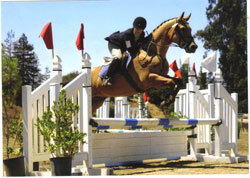 Links to view the price sheet, boarding and liability forms are at the bottom. 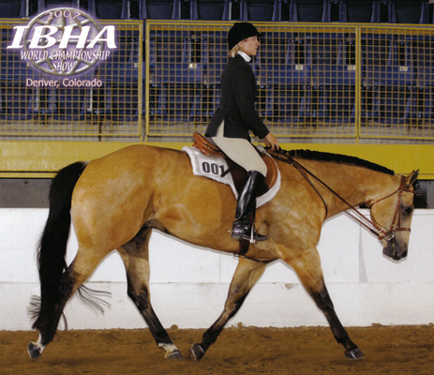 IBHA TOP-5 WORLD SHOW: Hunter Under Saddle; Hunt Seat Discipline Rail. 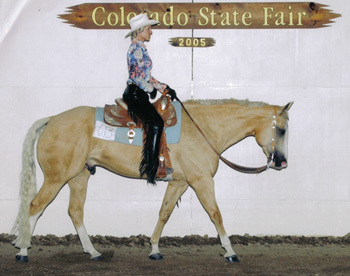 MHBHA 2007 Year-End Class Champion English Discipline Rail. 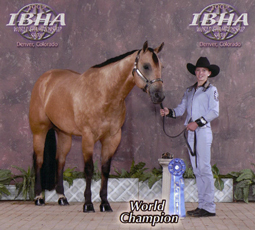 MHBHA Reserve Class Champion Halter Geldings and Western Discipline Rail. 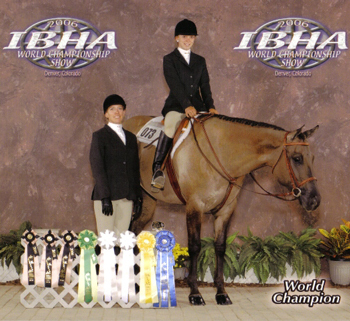 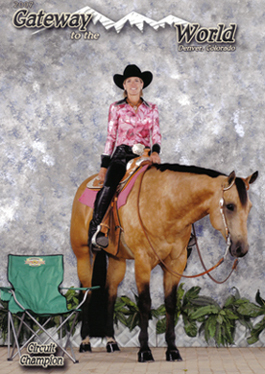 2007 MHBHA Year-end All-Around 13 & Under Champion. 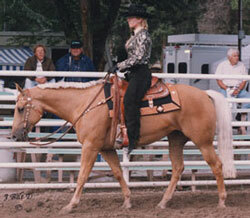 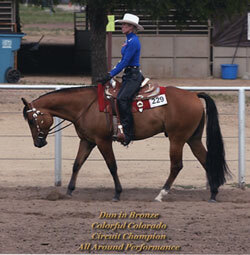 Raised, trained and coached by Lynn Hindman. 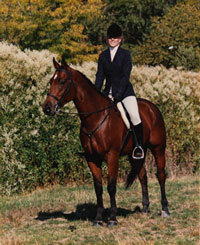 Raised and trained by Lynn 1994 to 1999.
and Green Hunter of the year. 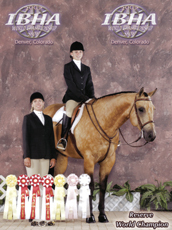 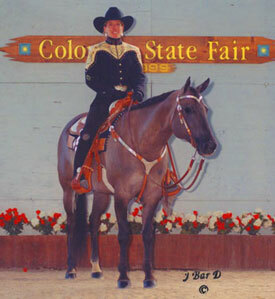 Columbine Series A Jumper Champion. 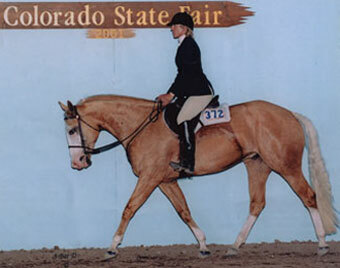 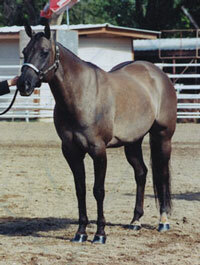 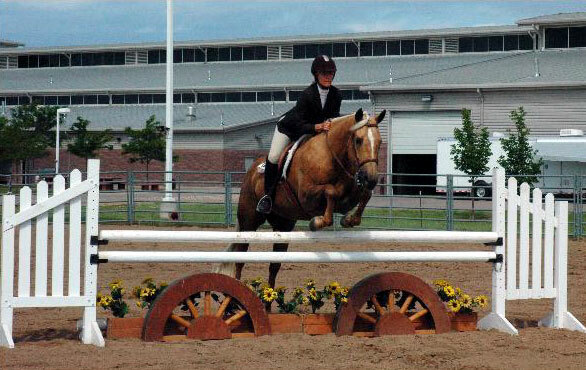 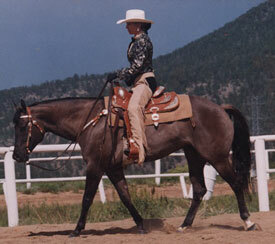 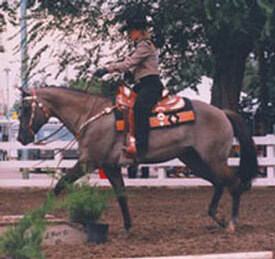 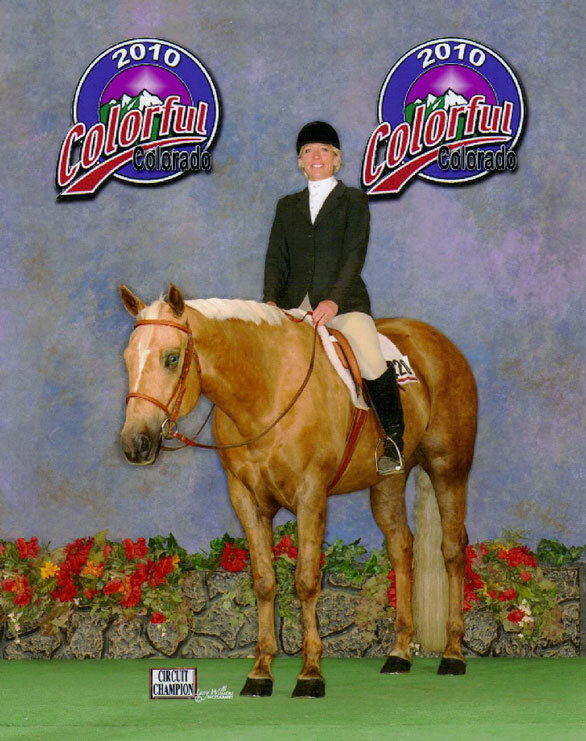 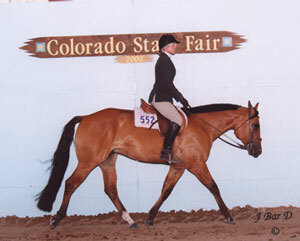 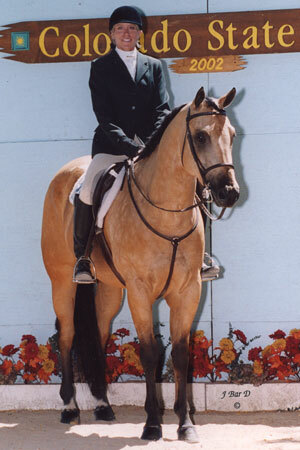 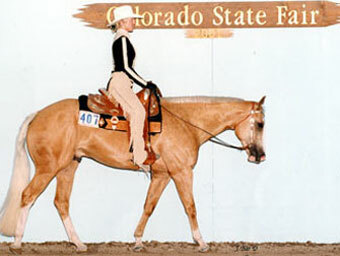 1999 MHBHA Reserve high point 2 yr. gelding. 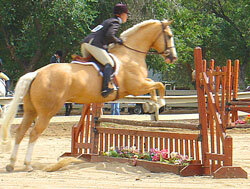 2000 MHBHA high point 3 yr. gelding. 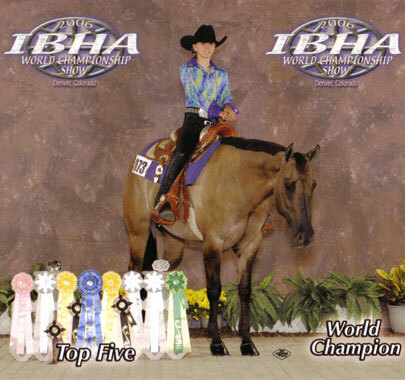 IBHA Honor Roll 2nd in nation 3 yr. geldings. 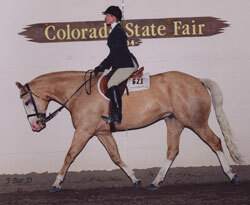 1999 earned 138 open division PHBA pts. 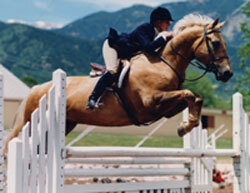 The Boarding and Liability forms are in Abode Acrobat reader format. 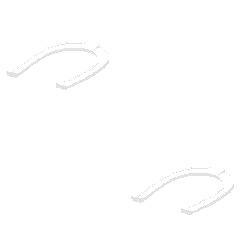 to download a free Adobe Acrobat Reader. 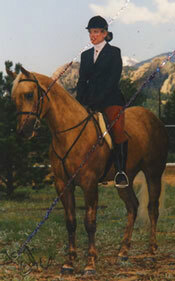 You may fill out the forms on line, save them locally and e-mail them to me.